Baker has been producing this “Best Of” series from some of the greatest Christian writers of recent history. 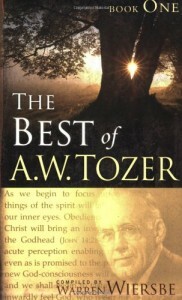 This volume from the works of Tozer has to be one of the best! If you have been reading whipped cream lately and want to sink your teeth into something solid again, get this book.